David Villa will join Japanese J-League side Vissel Kobe next year and reconnect with ex-teammate Andres Iniesta, after leaving the MLS. The Spanish striker’s four-year spell at New York City will come to an end next month, with his final record reading 80 goals scored in 120 matches for the American club. However, even at 36-years-old, the veteran centre-forward is not yet thinking about retirement and has already lined up his next adventure in Japan – according to The Sun. Villa will join Vissel Kobe before the beginning of the 2019 J-League season and in doing so he will reunite with former Barcelona teammate Iniesta, who has been on the club’s books since the summer. The Spanish duo played together for years at both club and international level, as Iniesta provided countless assists for Villa from midfield, which ultimately culminated in numerous major trophy wins. They won the Champions League, La Liga, the World Cup and the European Championships together before Villa eventually left the Camp Nou to join Atletico Madrid in 2013. 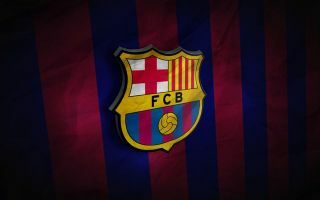 After announcing he would be leaving New York, the lethal ex-Barca hitman expressed his gratitude to the fans and declared his undying support for the club, after initially becoming their first ever signing. “I can only say thank you, thank you to everybody,” said Villa, as per The Sun. “First, to City Football Group that gave me the opportunity to come here. To NYCFC and MLS for accepting me. To everybody at the Club who helped me day-by-day. “Thank you to the people working in the media that always gave me respect and love. “Obviously, our fans. I remember the first day I showed the jersey and the supporters were there.